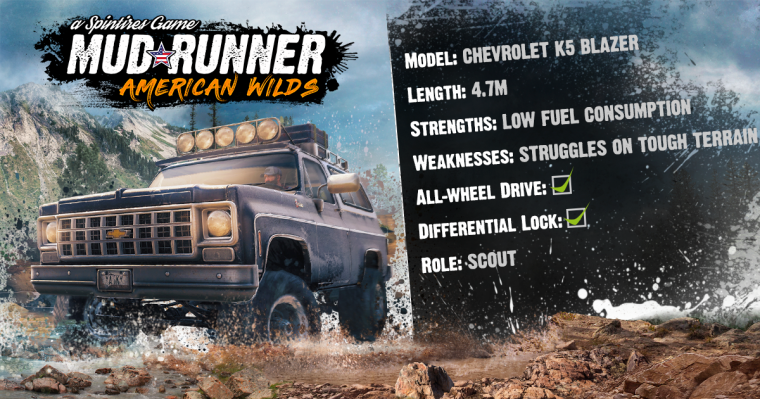 Thanks to an eagle eyed Spintires fan, word has gotten out that Focus Interactive has plans for releasing a USA based expansion for Spintires: Mudrunner. We can confirm that these reports are legitimate, and written by Focus Home Interactive. We will have more information on this and more at the What's Next event. You can expect more information in the weeks after that (mid-February). I'm right there with you @Shilka, the Russian setting is what brought me to the game so it remains to be seen (obviously) how this will stack up. I'm not aware of any mud logging in NA, at least not in Canada. Here we're doing a lot more Heli-logging as it represents a smaller environmental impact. Oddly enough we use KA32a which is manufactured in Russia. First glimpse of a map and some trucks! Same here, I saw the Blazer and wow! It would be cool if it was the variant though where you could remove the roof because that Blazer was awesome, why they ever stopped making them is beyond me? Looks like Oct - Dec are going to be very busy gaming months this year. Quite funny that Mudrunner can get licensing to use Freightliner but ATS which is a Class 8 Truck Simulator cannot. Spin it any way you wish (get it, spin it?...ah nvm), this simply makes no sense. Well, not sure what to think of it either. 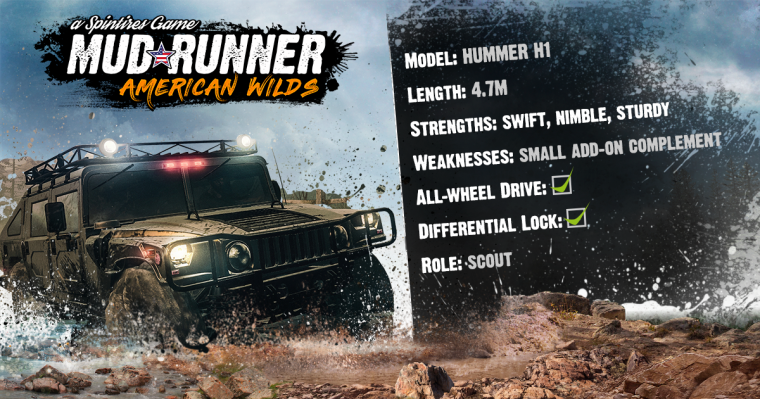 It also makes no sense they didn't manage to get a single license for the regular mudrunner game in contrary to the USA DLC. They actually even changed all models around in order to prevent further license issues there. They do have heaps of US based licenses for many years for all the farming sim games though, so perhaps that gives them an in. Might also be a difference in getting licenses for trucks still in production or older ones. Maybe there's a difference in French law and Czech law when it comes to getting licenses.I don't know. And it looks like the spintires model doesn't have a 2 year development time. I guess you can't compare it one to one like that. On the bright side, just received some info that the Volvo VNL license is finally obtained for ATS. No official word yet, but will let you know. Hopefully we'll see some oilfield style trucks as well. Those are usually pretty well prepped for getting to some muddy and soupy sites. I can't wait to drive the Ford 150 and Chev Blazer. ...mostly the Blazer though. I have no idea why Chevy didn't go back to this thing in some kinda retro homage, it's pretty awesome? I think with the removable canopy it was one of the coolest Trucks on the market. Nice, thanks for keeping us all up to date @Shilka.